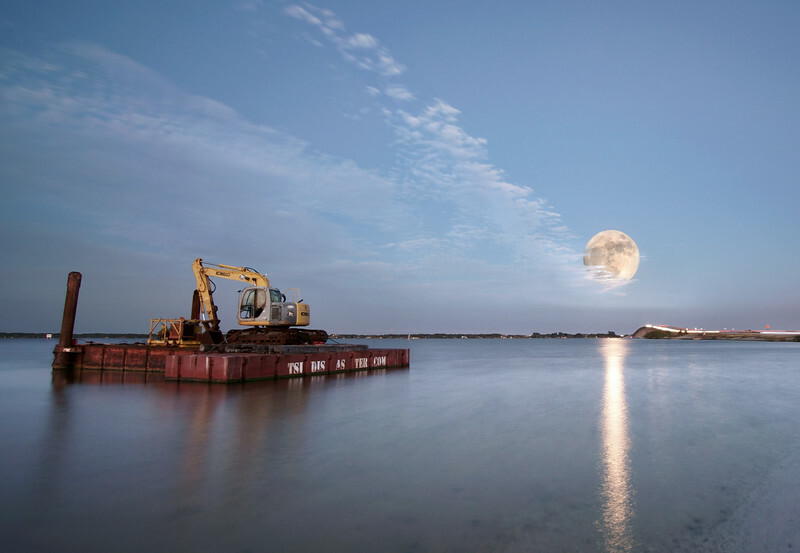 The disaster barge and the super moon. There were two separate exposures for the foreground and the moon. I guess I got a little carried away but the moon nestled nicely into the clouds at this size.